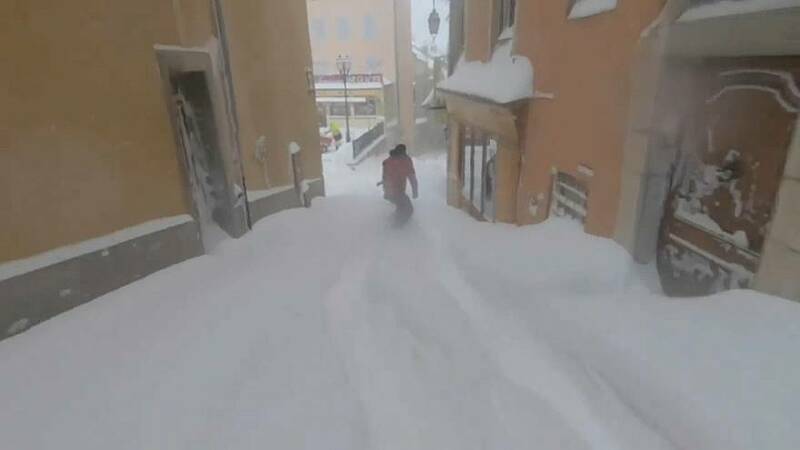 Brothers Joti and Milo Shrestha took advantage of the fresh snow in Briancon, a commune in France's Hautes-Alpes region, on Friday by snowboarding through the streets of its iconic old town. The video of the snowboard session, which has since gone viral on social media, shows Milo, 12, with his friend Thibaut whizzing through the snow-covered city, as filmed by Joti, 14. The trio told France Info that they had managed to get in three runs, riding the bus back to the starting point each time. Located at an altitude of 1,326m, Briancon is the highest city in France, based on the French definition of a community containing more than 2,000 inhabitants.